If you're not wedded to the Scion brand, compare the newer Toyota Yaris to the Scion xD. 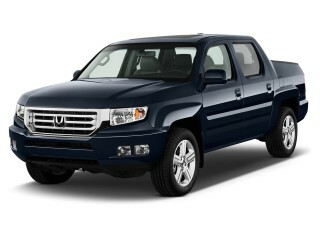 It gets better fuel economy from similar running gear and has a more modern interior, along with Toyota dependability. Sadly, the 2014 Scion xD is less fun to drive than to look at, though it's spacious for its size. Now seven years old--an eternity in the fast-moving field of small cars--the 2014 Scion xD gets only a handful of upgrades from previous model years. And it looks entirely the same on the exterior, unless you order one of the handful of new two-tone paint options. Otherwise, a 6.1-inch touchscreen display audio system has been made standard and the xD otherwise continues apace. Sadly, the Scion xD appears increasingly old and tired against a variety of new competing models. There's an all-new 2015 Honda Fit now on sale, the Ford Fiesta was updated for 2014, and the Chevy Sonic, Nissan Versa, and Toyota Yaris are all much-newer models--with the upgrades in refinement, standard equipment, and safety features you'd expect. Back in 2008, Scion marketed the xD to buyers who wanted style and attitude in their subcompact--at a time when the mediocre Chevy Aveo was a main entrant in the field. Now, while the 2014 xD still offers a lavish set of features and accessories, it lags the field in interior design, power, and gas mileage. It's based on the previous-generation Toyota Yaris, which was replaced after 2011, and it shows. The bulldog, almost menacing, look of the front end leads into a boxy, slab-sided shape with a squared-up stance. The roofline is extended by the spoiler mounted at the top of the tailgate, and the shape has worn well even if it's nowhere near dynamic or fluid. The sit-up-and-beg profile provides a lot of interior volume, but the inside is grimmer now than many of its competitors. The front seats--while supportive--have very short bottom cushions. Drivers of even average height may find them uncomfortable on longer trips, and tall drivers surely will. The back seat doesn't have a huge amount of room, but unusually for the class, it slides 6 inches back and forth--meaning you can trade off cargo space for legroom when needed. The seat back also reclines up to 10 degrees, splits 60/40, and folds down to increase the cargo hold from minimal to a very usable volume. The xD also gets points for having multiple bins, trays, and cubbies for storage of odds, ends, mobile phones, sunglasses, and everything else you find yourself stashing in the car. Showing its age in the area of safety, the Scion xD was one of the last new cars in the U.S. to be fitted with electronic stability control as a standard feature--only in 2012, when it became mandatory. 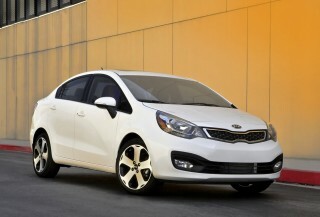 It has the usual array of safety features--anti-lock brakes, a tire-pressure warning system, and active front headrests. It has front and front-side airbags, along with full-width side-curtain bags. The NHTSA has never crash-tested the Scion xD, but the IIHS rates the xD as "Good" (its highest rating) for moderate-overlap front crash, side impact, and roof crush tests. It has not been rated in the new IIHS small-overlap front crash test--and it's no longer a Top Safety Pick either. The butch looks of the Scion xD aren't backed up by the powertrain, a 1.8-liter engine that produces a mere 128 horsepower and powers the Scion box through a five-speed manual gearbox or an ancient four-speed automatic. It's perky enough in urban cut-and-thrust driving, but on the highway, the engine turns at far higher speeds than more relaxed competitors that offer five- and six-speed automatic transmissions. You don't make it up in gas mileage, either, with a combined rating of just 29 mpg either either transmission (27 mpg city, 33 mpg highway). The standard equipment list is less impressive now than it was seven years ago, but includes air conditioning, a Pioneer sound system that includes a USB port, iPod connectivity, Bluetooth pairing, and HD radio. While the steering wheel tilts up and down, however, it doesn't telescope--which can make it hard to find a comfortable driving position. Like every Scion, the list of more than 40 dealer-installed accessories is long and varied, meaning every xD can be customized to the buyer's taste. The bulk of them are cosmetic enhancements, but the Toyota Racing Division (TRD) is well represented by performance upgrades as well--from tuned exhaust systems to bigger brakes, shorter springs to quick-shift kits. The 2014 Scion xD sits square and tough, but the design is starting to show its age. The 2014 Scion xD is now an accepted and pretty much unnoticed shape on the roads. 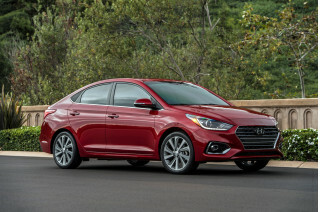 Most of the newer minicars and subcompacts--the Fiat 500, the Ford Fiesta, even the new Hyundai Accent and Kia Rio pair--have emphasized shape as a way to stand out. Not the little xD. It doesn't look ancient, but there's nothing that makes it stand out any longer. From the outside, the look starts with a bulldog-blunt front end that leads into a squared-up stance. It conveys toughness, even menace, assisted by larger-than-usual wheels that go all the way up to 18 inches and barely fit inside the wheel wells. The xD sits upright and square, and the spoiler at the top of the tailgate reminds some of an athletic shoe. 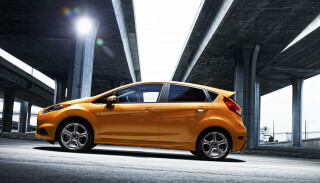 It's hardly the Fiesta's European dash or the Fiat 500's cuteness, let's say. The interior too is both upright and chunky. A gauge cluster mounted on the steering column uses graphics that resemble a clock face, moving when the driver tilts the steering column. The rest of the instrument panel evokes the old, tough, hard-plastic SUVs, with an upright wall of hard plastic that blends uneasily with both matte and glossy trim finishes through the rest of the cabin. The 2014 Scion xD doesn't perform nearly as well as its aggressive styling might indicate. While it may look tough and pugnacious, the 2014 Scion xD is pretty conventional from behind the wheel. Its 128-horsepower, 1.8-liter four-cylinder engine is hardly the stuff of tuners' dreams. It's decent enough with the standard five-speed manual gearbox, but if you want an automatic, you get an ancient four-speed model with wide gaps between gears that make it feel like it's out of breath at freeway speeds. So the xD's tuner cues are more visual than actual, and it's not in the service of fuel economy, either. The Scion xD falls toward the bottom of the subcompact class in terms of EPA gas mileage ratings. Choice of gearbox doesn't matter; all Scion xD models are rated at 29 mpg combined (27 mpg city, 33 mpg highway). In a model year when five-door minicars like the Chevrolet Spark and Mitsubishi Mirage get 34 to 40 mpg combined, the xD is just subpar. Nor is the handling particularly pleasurable. It's a world away from the tossable feel and crisp reflexes of many of the smallest cars on the road, including the Fiat 500, Ford Fiesta, and MINI Cooper. The suspension is soft, which gives a good ride quality and handles choppy and broken road surfaces well. The rear drum brakes also don't support the sporty styling; they work well, but they're a low-rent fitting. That's fine for slow, undemanding use--but push it even somewhat hard, and the suspension just wilts, producing lots of body roll and giving the steering a rubbery feel. Part of it may be weight; while it's small, it drives as if it were a much heavier (and somewhat underpowered) car. And while lots of aftermarket suspension parts are available to improve the handling--including some from the huge accessories stock at any Scion dealer--it comes at the expense of ride quality. Refinement isn't a strength of the 2014 Scion xD; neither is front-seat comfort or rear-seat headroom. 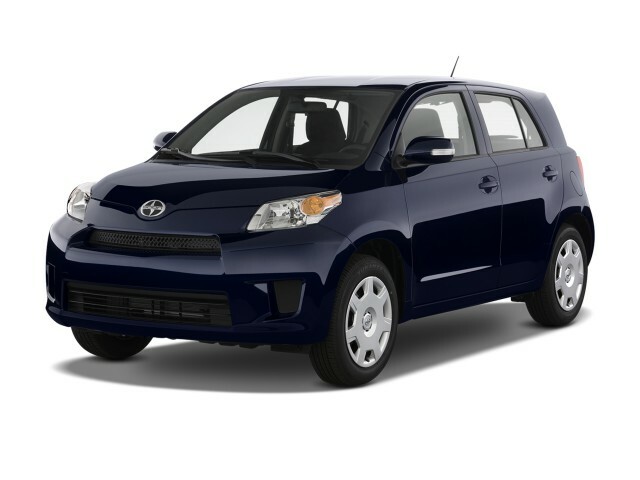 In terms of quality and comfort, the 2014 Scion xD simply fails to deliver on its bluff styling. There's a lot of space inside, but the driver and passengers are likely to find that the seats aren't all that comfortable. They're also likely to suffer from a lot of noise, as the cabin's just not that quiet. For short distances, the front seats are fine. But for longer journeys, or taller drivers, their somewhat thin padding on short bottom cushions lacks the necessary support. Like other Scions, the steering wheel tilts but doesn't telescope--making it hard for some drivers to adjust the controls properly. Even some of the smallest cars offer telescoping steering wheels now--though some, including the Fiat 500, still don't--but regrettably, short seat cushions seem to be a common affliction in the class. Unusually, the back seat is actually a more pleasant place to spend time. It's hardly cavernous, but the seat slides back and forth up to 6 inches, letting passengers maximize either rear legroom or cargo volume in the load bay. The rear seatback also reclines about 10 degrees (as well as folding 60/40), so most adults should be able to find a comfortable seat for those longer journeys. Cargo space is limited with the seat up, but when the rear seat is folded down, it creates quite a usable space--one advantage to the xD's boxy hatchback shape. The Scion also gets points for having lots of trays, bins, and cubbies front and rear for stowage of ... well, stuff. On the other hand, while you're accumulating stuff for that long journey, you'll endure quite a lot of wind noise. The Scion xD is now definitely behind the curve in its sound deadening (or lack of it). Because Scion is built by Toyota--and the xD is now in its seventh year--the interior materials are predictably dated. There's lots of hard plastic, more than in most of the car's competitors. On the hand hand, also because it's built by Toyota, the assembly quality is first-rate and the xD feels solid and durable. The 2014 Scion xD now has six airbags, but only the mandated safety equipment otherwise. 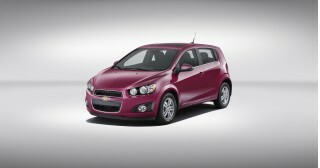 Among the smallest cars--minicars and subcompacts--the level of safety is rising quickly. The 2014 Scion xD is behind the curve these days, and it doesn't have a safety test score from the National Highway Traffic Safety Administration. In fact, the NHTSA hasn't rated the Scion xD at all since the agency updated its test criteria for the 2011 model year. Ratings are available from the Insurance Institute for Highway Safety (IIHS), which gives the 2014 xD its highest rating of Good in all four categories: Moderate-Overlap Front Crash, Side Crash, Roof Strength, and Head Restraints and Seats. There's no rating for the new and tougher Small Overlap Front Crash, though, and likely won't be until the Scion xD is updated. Moreover, it's lost the Top Safety Pick rating it earned in previous years. The xD hatchback comes with six airbags as standard, and the side airbags were enlarged last year for better protection. 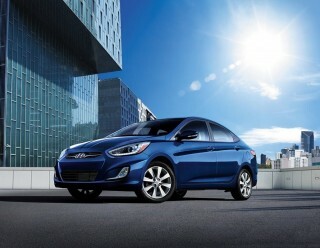 It also includes active front headrests, anti-lock brakes, and standard electronic stability control. But it offers none of the more advanced electronic safety systems that are quickly filtering down from large luxury vehicles to inexpensive smaller cars. The feature list of the 2014 Scion xD is substantial at its price, and Bluetooth is standard, to its credit. The 2014 Scion xD has a decent list of standard features, though it's not as comprehensive against the competition as it was in 2008 when the model first launched. Power windows, locks, and mirrors are standard, and so is air conditioning and cruise control. A trip computer is less novel now than it was seven years ago, and the same applies to the rear-window wiper. This year, a 6.1-inch touchscreen display audio system becomes standard. That six-speaker, 160-watt Pioneer stereo comes standard with HD radio, a CD player that handles all disc formats, USB port with iPod connectivity, an auxiliary input jack, and two RCA inputs. Or you can move up to the optional BeSpoke Premium system, which includes a navigation system as well as more than 30,000 stations from streaming audio from the Aha platform that encompasses podcasts, Internet radio, audio books, and other online content. Its seven-inch display will handle DVDs and iPod video input. There are also dozens of customization options available through dealers, which is a Scion trademark. More than 40 accessories and upgrades can be fitted, as can literally hundreds of aftermarket parts. The performance accessories sold by Toyota's TRD brand—especially mechanical upgrades like shorter springs, quick-shift kits, and larger brakes--will help compensate for the car's lackluster handling, at the expense of ride comfort. But most of the add-ons are cosmetic, offering each Scion xD buyer the chance to build a combination that may just be unique. And the bottom line for the upgrades can add up quickly, and likely won't be reflected in resale value. The 2014 Scion xD's 29 mpg combined is now notably below the best subcompacts. The 2014 Scion xD is, by now, falling toward the bottom of the small-car pack when it comes to fuel economy. Regardless of which transmission you choose, all xD models get the same EPA rating: 29 mpg combined (27 mpg city, 33 mpg highway). That's not much better than most mid-size sedans these days. In part, this reflects the car's age; the Scion xD is now seven model years old, and it was more competitive with tall boxy small hatchbacks when it was launched in 2008. 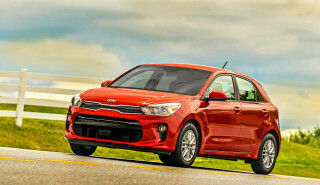 But with a new and more fuel-efficient Kia Soul on the market this year, not to mention five-door minicars like the Chevrolet Spark and Mitsubishi Mirage coming in at 34 to 40 mpg combined, the xD is pretty clearly subpar. We might also assign blame to the car's large and not-very-powerful engine--128 horsepower from 1.8 liters isn't impressive--and its archaic four-speed automatic transmission. At least the base xD with the five-speed manual gearbox is more fun to drive, but either way, there are many more fuel-efficient small cars out there. Looking for a different year of the Scion xD?